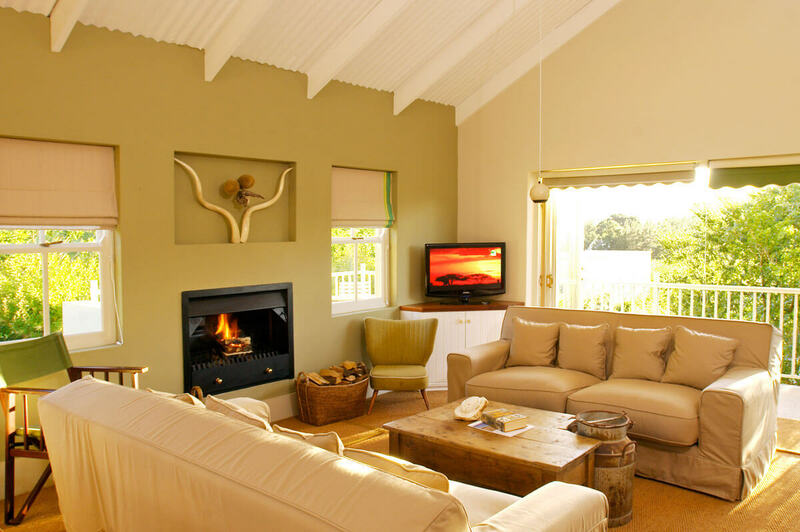 Aloe Corner Franschhoek is home to two unique fully-equipped self-catering cottages. Offering you home-from-home comforts, our holiday homes are within easy walking distance from the centre of the picturesque village of Franschhoek. 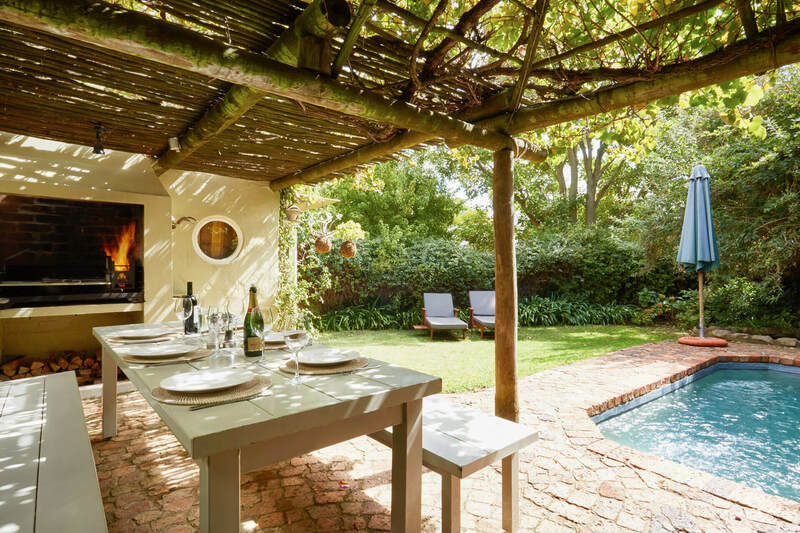 Both self-catering cottages offer you exceptional comfort and convenience and are an ideal base from which to explore the Franschhoek Valley and to indulge in South Africa’s gourmet capital. Situated in a shady garden, The Bolt Hole sleeps four in two large double rooms. There is a spacious open-plan kitchen, living and dining area. The ensemble is completed with an outside entertainment area and swimming pool – Check Availability And Book Now. The Map Room is modern and romantic. The beautiful en-suite bedrooms are downstairs and the living area is accessed up a spiral staircase providing views of the vineyards and the towering mountains. This unit sleeps four but is regrettably not suitable for children under 12 – Check Availability And Book Now. Just 75 kilometres from Cape Town, this beautiful valley nestled in the Cape winelands has plenty to offer the discerning traveller. So whether you’re just passing through, visiting the Huguenot museum, participating in the Bastille Day celebrations, mountain biking, trail running, wine tasting, savouring the delicacies on offer or just chilling out, our holiday home accommodation has everything you need to relax and recharge.